Abacus Maths For Kids – Looking for best training of Abacus Maths for Kids in India? Are you searching a way to make your kid smart and intelligent? If the answer is yes, here you are at right place. Now you don’t have to search further for your problem. We have a perfect way to make your kids smarter and intelligent. Call us at +91-92568-93044 for our Abacus Maths Course for kids. There are many benefits of joining abacus class in an early stage. If you want your kid to become successful in his life, give them a chance to join abacus class at an early age. It is important to acknowledge that early age is the most crucial growing age where you can learn new things in terms of emotions, physical and social development. There are many different ways to teach number and math to kids. Some ways can be fun and exciting for you and for your kids but some can be boring as well. So if you want your kid to learn math through fun way, Abbacus is the best way. 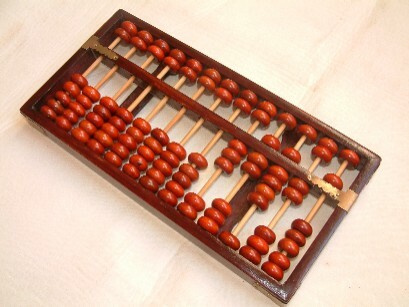 Abacus Maths is an instrument that was invented in the ancient time near about 2500 years ago in China, which later spread to other countries like Japan, Korea, Malaysia etc. It was an ancient trick to calculate the numbers through a basic arithmetic system. And today, it has been proven as a complete brain development tool over last two decades. 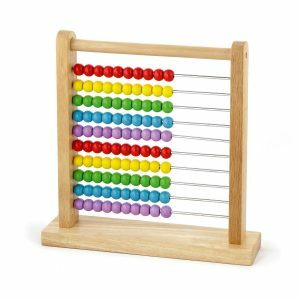 Abacus is now very popular all over the world and now it has been transformed from a calculating instrument into a system having the power to benefit children of small ages for increasing the brain usage and it also makes maths learning easy and effective for kids. Encourage the brain:- Abacus maths class help kids to coordinate with their brain. Kids use their both hands to move the beads. The finger movement of both the hands activates the sensors of the brain, the right-hand coordinates with the left brain and left-hand coordinates with the right brain. This improves their calculation skills. Improves Logical Understanding:- Abacus classes improves the logical understanding of the child. 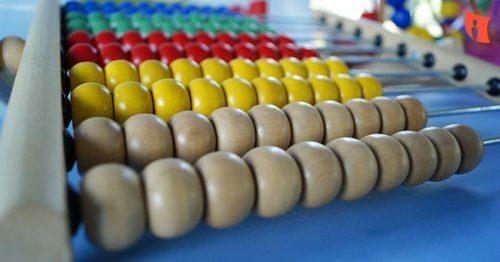 When a child visualizes the maths question on the imaginary abacus, he/she has to think and apply logic to solve the question with the correct movement of beads in mind. Repeatedly doing the mental maths helps the child to apply the logic in their other life scenario as well. Improves Concentration:- It also helps in improving the concentration level of the kids. When they play with the beads they concentrate their mind on the calculation. Students who have received the abacus training have better concentration power than those who don’t take abacus classes. More Understanding Of Maths:- According to the research, it has shown that advanced abacus learners are better at solving the certain types of mathematical problems as compared to those who are not trained in abacus. Abacus training helps in improving the child’s capability of solving the mathematical problems with integers, decimals etc. Why Should You Choose Abacus for Kids? If this question is still on your mind, then you need to know that it is very important to engage kid’s interest of learning maths from a young age. Maths is difficult and boring and nobody likes to do calculations. Abacus classes help kids to learn the special skills to learn maths. This is the most successful way to make maths interesting for both kids and adults. It is very difficult to imagine counting without writing numbers on paper. But with the help of abacus classes, you can learn about the numbers. Abacus classes help to polish the brain of the kids. These are some of the benefits of abacus maths class which are mentioned above. If you want your kids to achieve success in their life, teach them special techniques to do maths.